Extra wide track base with seal bearing wheels for professional sales on road. 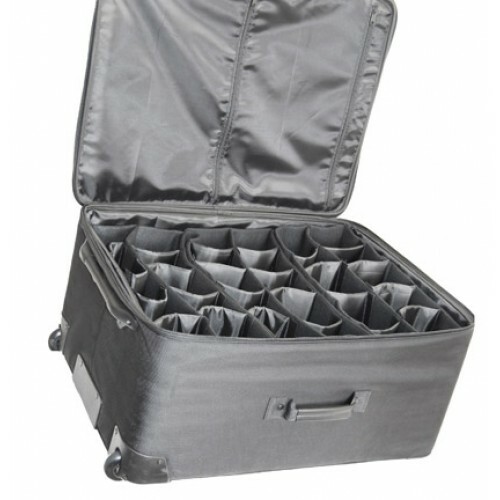 One main compartment with heavy duty U-zipper. 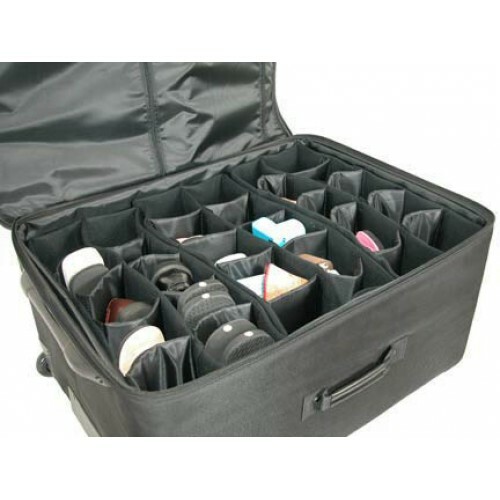 Total of 30 divider space in the case, each can be reconfigure to fit your shoes. Two front pockets, easy access pocket on top. The pocket can be remove or unzip if not in use. Strong and sturdy handle on all side and bottom. 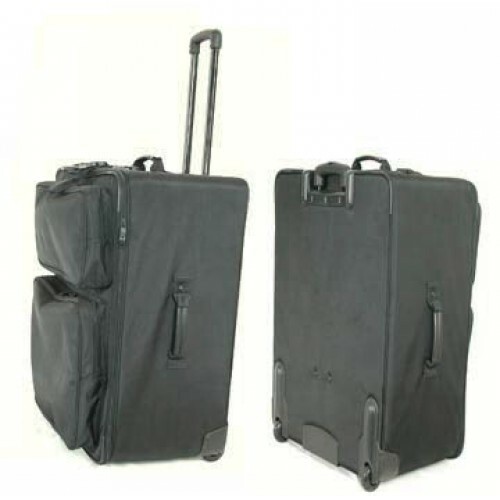 Adjustable removable heavy straps to attache extra bag. 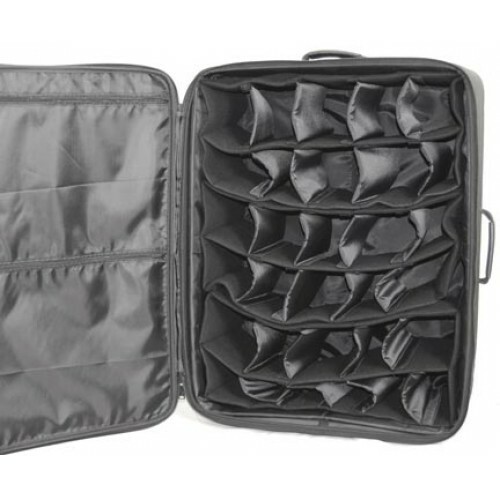 3 separated padded soft rack with removable divider. 5 space per roll and 6 rolls total. Total of 30 space for shoes. 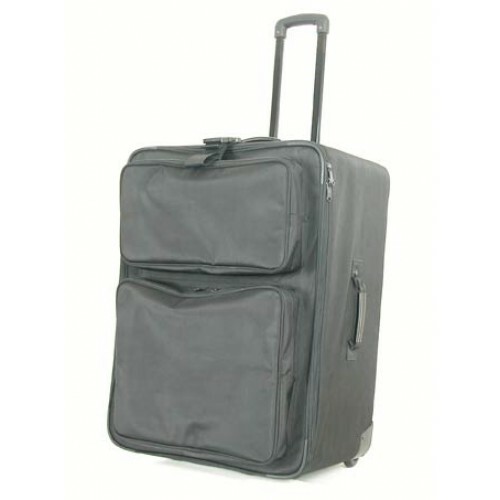 Made of industrial heavy duty nylon for maximum durability. Size: 28" x 22" x 13"
This item is consider over size shipping with airline travel. This item is factory refurbish or open box, item sold as it is no warranty all sale are final. Only 2 case on hand.